I recently read a book by W.D. 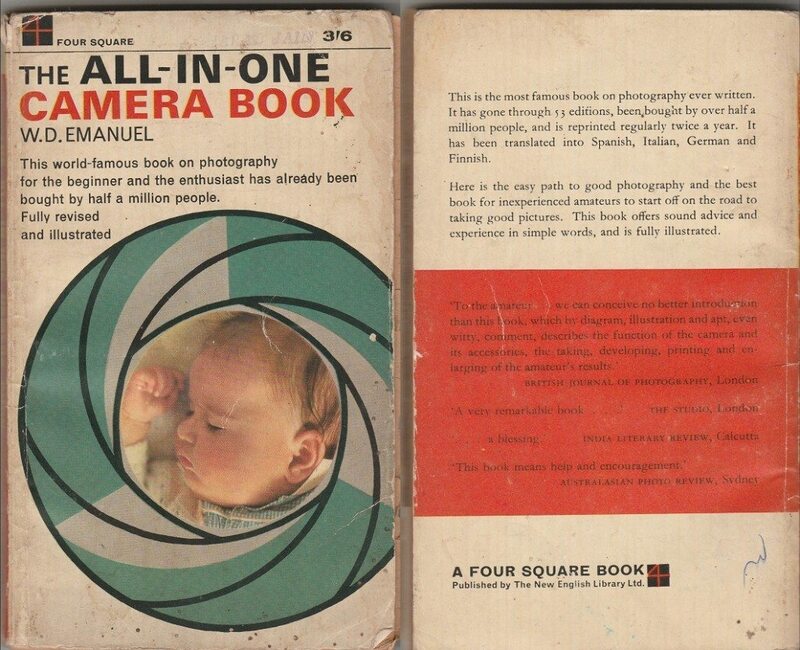 Emanuel titled ‘The All-in-One Camera Book‘ based on Photography. The book was first published in Great Britain by Focal Press Ltd. in December 1939 and so it mainly deals with the early film-based SLR camera’s. Every word written in this book is 75 years old and almost buried by the digital technology today’s cameras have adopted. Now, photographers mainly use Digital SLR’s which comes with hundreds of settings and picture styles to choose from. The Auto feature made it easier for beginners to shoot and capture good quality images from their camera. Evolution and enhancement have always been a part of mankind and Digital photography has opened the door for people to make images easily. Since there are so many more people doing it, one needs to be better to stand out. The All-in-One Camera Book has everything to offer a photographer can expect. Though the process explained in the book mainly focuses on film SLR’s, the same can also be applied on Digital one. Let’s take a simple example to better understand the film and digital era of Photography. There are two photographers, one with a film SLR, other with DSLR and both come up with a same finished image. It takes far more skill and time to get the right on film. While the digital SLR user can easily capture a photographer with the help of autofocus, auto ISO, and other automatic settings; Film SLR photographer has to manually set each and every setting to get that perfect shot. Now I can understand why a lot of Film Shooters rue people who shoot on DSLR’s. However, now things Like Instagram is happening, people with no training or experience can create decent images, and I now feel a bit like that towards those types of people. While tech cannot replace skill, it certainly makes a solid substitute. Art is art whatever process is used to make it, however, the older ways are more difficult and technology opens that field of people capable of making a good standard of art far wider. Anyways, what do you think and feel about Technology and Photography? You can post your thoughts and opinions in the comment section below. Hi, thanks for reading the article.